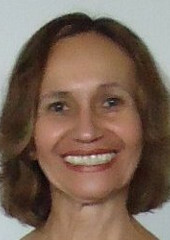 A Brazilian judicial analyst specializing in employment law. A deep thinker about social, political, scientific and philosophical issues. A warrior against social injustice. A lover of the Portuguese language and its literature. Dayse received her Bachelor of Arts degree in 1977 from the College of Arts at the Federal University of the State of Minas Gerais (UFMG). Her studies here expanded and deepened her knowledge of both Brazilian and Foreign Literature and Gram­matical Portuguese. Here she also gained a good grasp of the English language. Dayse received also a Bachelor of Law degree in 1985 from the Law School at the same university. In addition to her formal studies, Dayse developed a keen interest in the Social and Political Sciences. In this context she has undertaken formal research into social structure for which she has sought inspiration from ancient societies like her own Tupi-Guarani ancestors. Dayse has also made an extensive study of Philosophy, and driven by her curious fascination with the fundamental laws that underpin our universe, she has also made serious intellectual forays into the realm of Modern Physics. A growing awareness of the importance of environmental conditions for the future of our planet and a strong sense of conviction to do something about it has led Dayse to become personally involved in the quest for environmental conservation. Dayse looks forward to a time when humanity - following the examples of ancient societies, to whom the land was both their means of subsistence and a socio-cultural environment - becomes aware that it is itself an essential part of nature and is not outside of or beyond the natural life-process. She believes that it is the responsibility of mankind - as the most recent and ad­vanced species on the planet, uniquely endowed with the power of conscious thought - to care for the Earth by taking his needs of life from it in sustainable and non-destructive ways, leaving it a fit bequest for future generations. Humanity now possesses enormous knowledge about many of the natural laws that govern the workings of known reality. Despite this, we, as yet, know very little about our vast Universe and how it originated. Some believe it was divinely created. Others think it evolved under the influence of natural law. Both ideas evade tangible proof. So nobody knows for sure. I see no antagonism between creation and evolution. Evolution is simply one theor­etical aspect of God's creation. The search for knowledge is never-ending. We are continually overwhelmed by new scientific theories. These increasingly appear more like science fiction than science fact. Many are so bizarre that scientists have difficulty finding the language to describe them. But where does humanity fit into our universe? Evolutionists suggest that our dom­inance of this planet is merely the outcome of our quest for survival. Motivated by our fragility beside the forces of nature, we sought to know then understand and then predict the behaviours of relevant physical phenomena in order to secure our needs. However, as many thinkers have observed, behind his search for knowledge, man has intentions he cannot easily confess. His quest does not stop at survival, but goes ever onwards towards complete subjugation - not only of nature, but also of man by man. Man is conscious not only of nature but also of himself. But he must advance to his next level of spiritual development. He must realize that the benefits of his know­ledge belong to all of humanity, without distinction, and to all other beings of this planet. He must see that he is a phenomenon of nature - an inseparable part of the universal process of life. He must learn to participate in a benign and sustainable way as both the subject and object in this process. I am not absolutely convinced when scientists say that all that exists is a consequ­ence of chance, because nothing cannot create something. Existence can only result from an act of creation. To know about the nature of the creator is absolutely impossible for us, for obvious reasons. However, more important than to speculate about God is to know that He exists. I prefer to understand like the oriental people, who, in their wisdom, refer to God as That - the unnameable, the unknowable. Much of what antique religions have told in the past has been confirmed by modern science. For example, according to Brahmanism there is the cosmic day and night of Brahma. I see the cosmic Day of Brahma as corresponding to the expansion of the universe, that is the cosmic vigil, and that the cosmic night of Brahma is the contraction of the universe. The expansion and the contraction of the universe have been admitted by science.